If there is one thing that I can't hide is a late night party face. One of my friends got married last Saturday and the celebration continued for hours. The next morning I tried my best to bring life back to my face for another event using makeup wisely. Si hay algo que no puedo ocultar es la cara de fiesta hasta tarde. Una de mis amigas se casó este sábado y la celebración continuó por horas. La mañana siguiente traté lo mejor para traerle vida de vuelta a mi rostro para otro evento usando el maquillaje de forma inteligente. Let's be honest, a lot of partying includes a couple of alcoholic drinks. No matter how little I drink, my skin will dry out the next morning for sure. I sticked to cream products and left powder aside because I really needed hydration. I wanted to look as if I wasn't wearing any makeup so I picked tones that look similar to my natural self, just adding a bit of definition to the eyes with one darker shade. I was also having a bit of irritation (which had never happened) from a laser hair removal appointment that I had a day before the event. I thought that it was the perfect chance to try Lisa Eldridge's pin-point concealing technique, giving me full coverage without caking up the face. As of eye concealing, mine still look tired but the darkness was really covered. I didn't have much time that morning but I normally put cold tea bags under my eyes to relieve puffiness. Seamos honestos, mucha fiesta incluye algo de bebidas alcohólicas. No importa qué tan poco tome, mi piel siempre se resecará la mañana siguiente sin dudas. Me apegué a productos cremosos y dejé el polvo de un lado ya que realmente necesitaba hidratación. 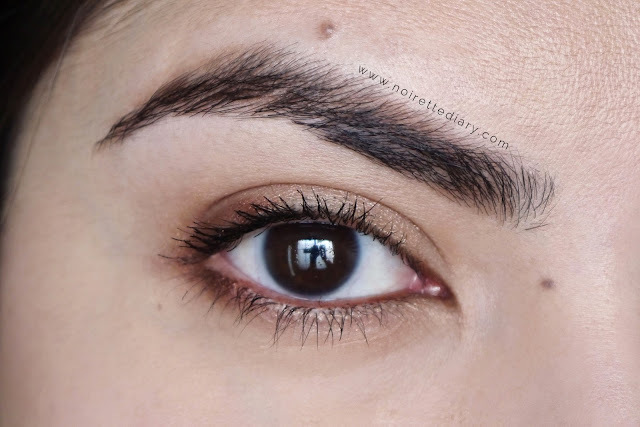 Me quería ver como si no estuviera usando maquillaje por lo que elegí tonos similares a mi ser natural, sólo agregando un poco de definición a los ojos con un tono más obscuro. También tenía algo de irritación (la cual nunca me pasa) por una cita de eliminación de vello con láser. 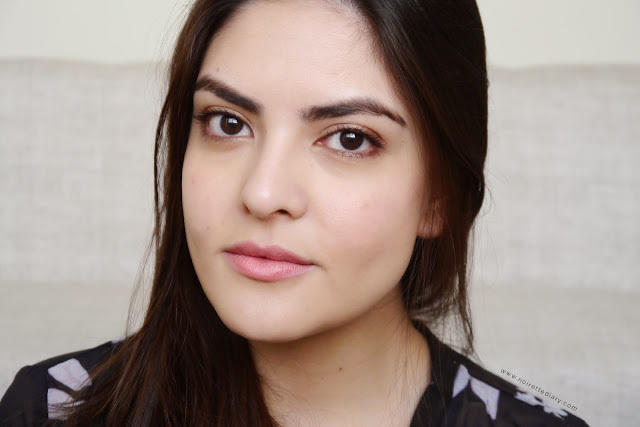 Pensé que esta sería la oportunidad perfecta para intentar la técnica de corrección pin-point de Lisa Eldridge, dándome gran cobertura sin empastar la cara. De corrección en los ojos, los míos aún se ven cansados aunque cubrí bien las bolsas. No tenía mucho tiempo esa mañana pero normalmente me aplico bolsas de té frías para aliviar lo hinchado. - 3 Concept Eyes Cream Blusher in Baby Peach. - Rimmel Scandaleyes Eyeshadow Stick in Bulletproof Beige (all over eyes/en todo el ojo). - Rimmel Scandaleyes Eyeshadow Stick in Bad Girl Bronze (outer edges and waterline/orillas externas y dentro del ojo). - Revlon Photoready 3D Volume Mascara. - Clinique Pop Lip Color + Primer in Melon Pop. What are your tricks/products to make you look amazing a morning after? ¿Cuáles son tus trucos/productos para lucir bien la mañana siguiente?